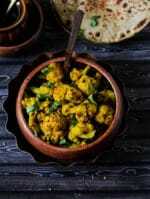 Suva bhaji /shepu bhaji /dill leaves is a very aromatic leaves which was a winter specialty but now easily available through out the season. 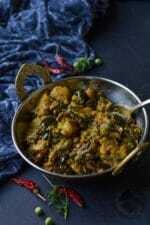 Suva is quite strong and pungent in taste but combines well with almost all vegetables and lentils,If you like the flavour then can use a lot to make this stir fry and if you are trying this first time then start with small quantity of dill. 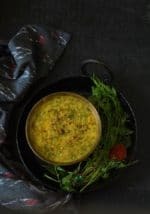 You can also use dill in salad and raitas ,it gives a very nice fennel like aroma and taste to any dish, dill can be used raw or cooked both ways. 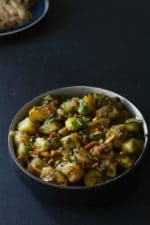 I have made this stir fry with medium size potatoes but if you have the small new baby potatoes then do try with the baby potatoes with out peeling them. The hard stems of dill leaves should be removed and the leaves and the tender stems should be washed first and then chopped before using. Suva/ dill is a vegetable with so many health benefits. It is good for digestion and a effective remedy for heartburn. Lowers blood sugar level.Maintains hormonal balance, Induce sleep, Lower blood cholesterol level in the body. suva/Dill is considered as the best plant source of calcium so helps in osteoporosis ,also good to have as post natal food for new mothers. So do try to include this healthy and easily available green in your diet regularly. Remove the hard mature stems from dill and use the leaves and the tender stems and wash them well. 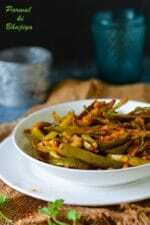 Now chop the dill and chop the green chilies. 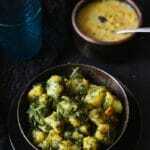 When cumin become golden then add the green chilies ,turmeric and the chopped potatoes. Add salt and mix and then cover with a lid and cook till they are 3/4 done. 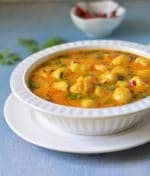 Now add ginger slices and chili powder and mix well and now add the chopped dill and mix well. 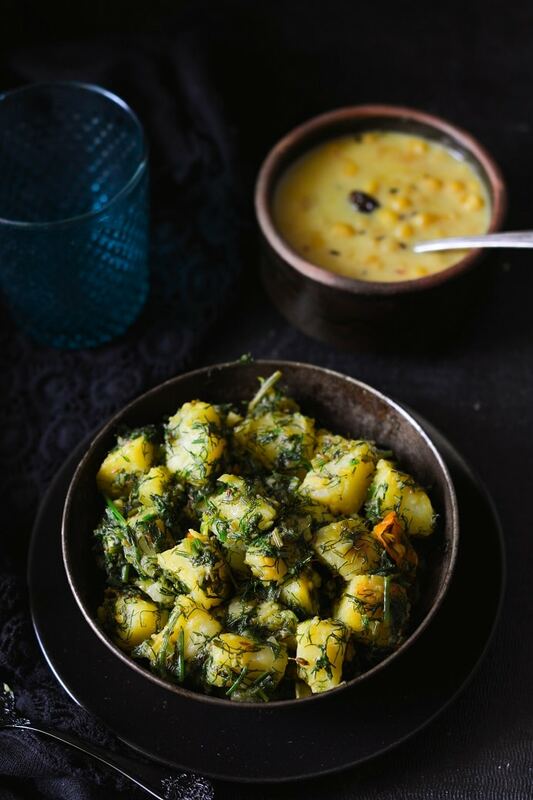 Serve hot with roti ,rice or just serve as a snack or starter. This looks delicious! Thank you so much for sharing this recipe. I really want to try making it at home.